In addition to the traditional brass band we also train a group of alphorn players who enjoy playing Alphorn have found. A rock-solid musical training on baritone and tenor horn were the basis for the learning of the alphorn. We convince by a professional appearance. The enthusiasm and common understanding of sound and expression are considered to be constant goal and let each performance to a special listening pleasure, so are not only for lovers of Alphorn music. The popular costumes in combination with the music opens up the possibility for folklore performances. The sonorous sound of the horns is an enjoyable contrast to the brass band. Besides the traditional alphorn music we play concert pieces. Here are peaceful, festive sounds and Alpine pieces represented and polkas and waltzes. They show the musical possibilities of the alphorn. You are responsible for the opening of an International Fair or an event and looking for something really special, then you've come to the right place! Present an unforgettable musical experience from tradion, costumes and enthusiasm. We are traveling throughout Bavaria and inspire our listeners with the sounds of unique instruments. Here unfolds the full and mystical sound of the alphorn a distinctive mood. The participation of our Alphorn designated not only large international events organizers as "great addition" to the evening. The alphorn is part due to his blowing to the family of brass instruments. As a symbol of Switzerland, Austria and Bavaria, it is known beyond these jurisdictions. The unique design and long wooden gives the Instument his unmistakable uniqueness. The bent shape at the end of the instrument is derived from the slope and therefore crooked tree. After peeling, the wood is hollowed out halved in length then. This leaves after about 70 hours of work painstakingly by hand a wall thickness of half a centimeter left. It follows the winding with the cane serves as weather protection. On a cupped mouthpiece of wood or metal is then played. This form kept at the Alphorn without significant changes over time. Previously shepherds used the alphorn. Whether it was used as a signal horn is controversial because the location of the notes is very difficult because of the reverberation in the mountains. The sounds are heard over a distance of 5 to 10 km far from done. Here, the landscape more in the mountains and the sounds still provides an echo. The unique and tranquil sound of the alphorn music feels not only good to the people, but also to animals, it is soothing and relaxing. The natural tones of the alphorn are generated by the mouth voltage. Here with different mouthpieces, different sounds are produced. 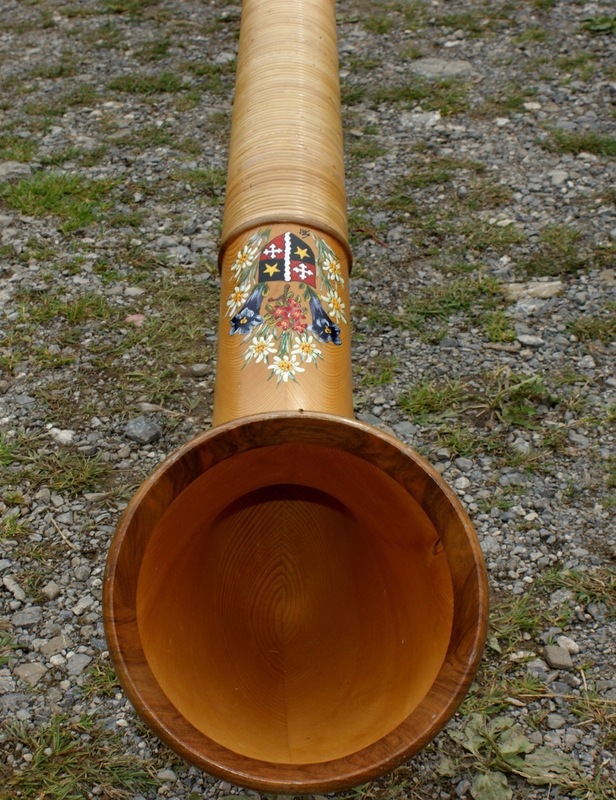 There are about 250 man-hours needed to produce a finished alphorn. The alphorn builder uses mainly wood from spruce or alder. In addition, there are new versions and enhancements of carbon. The length of time depending on the mood Alphornes 3.40 meters to 3.70 meters. With many hours of work, the price for an alphorn with 1,500 to 3,000 euros is not surprising. The world record for the longest Alphorn in the world holds alphorn builder Josef Stocker from Kriens, with a length of 47 meters. Unfortunately, it is not playable. 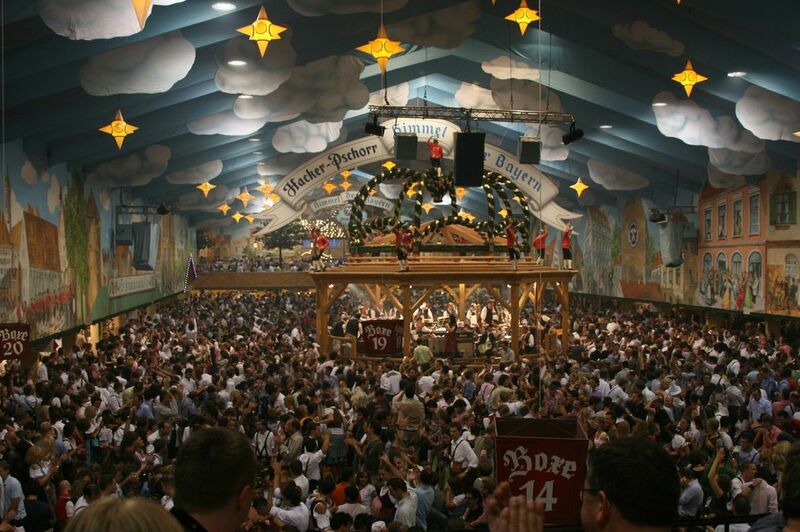 If in the assembly not all parts are used, with a length of 14 meters produced the longest recordable alphorn. This has 64 tones to the 16 notes of a "normal" alphorn.